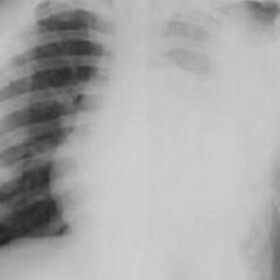 A recent prospective study found that 36% of patients suffer from completely blocked chest tubes. Worse yet, 86% of those occlusions were intra-thoracic and therefore invisible to the bedside caregivers.6 The crucial hours post-surgery, when the patient is still bleeding, are vitally important. 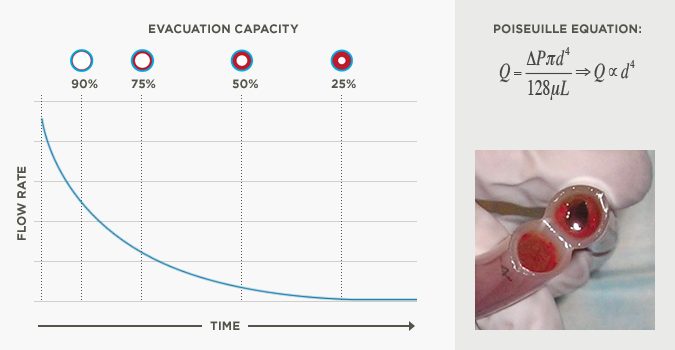 Why risk patient outcomes by relying on a conventional chest tube to evacuate blood from the surgical site? Blood’s natural coagulation properties work against patient outcomes. A conventional chest tube begins to clog almost immediately after insertion and as time progresses, the occlusion only becomes more serious. 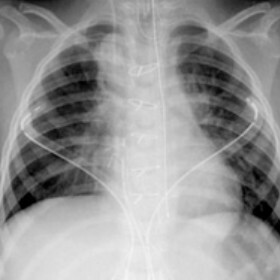 It’s a fact of physics that even a 50% chest tube restriction can cause a 94% reduction in flow. 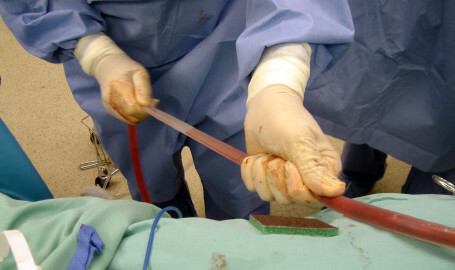 The resulting accumulation of blood and fluids at the surgical site can compromise patient recovery and lead to Retained Blood Syndrome (RBS) reinterventions. ClearFlow’s PleuraFlow® Active Clearance Technology® and many of its features are protected by a comprehensive family of both US and foreign patents and patent applications in major markets throughout the world, including Canada, Australia and the European Community. In the United States, PleuraFlow® products are protected by US Patent Nos. 7,854,728, 7,951,243, 8,246,752, 8,048,233, 8,388,759, 8,702,662 and 8,951,355. The PleuraFlow® product is the first device of its kind to effectively and reproducibly clear obstructing material from chest tubes without compromising the sterile field, and thus patient recovery. It is the only FDA 510(k) cleared device of its kind for this indication. ClearFlow’s patent portfolio has been tailored not only to protect this product, but also to provide protection around this new market segment thus presenting a barrier to entry for competing products.